Understanding the wind window, learning to generate constant power, controlling apparent wind, getting use to the forces of the power zone… the constant tinkering of kiteboarding had Darren thinking about it since his lesson with SoCal Kiteboarding two weeks ago. 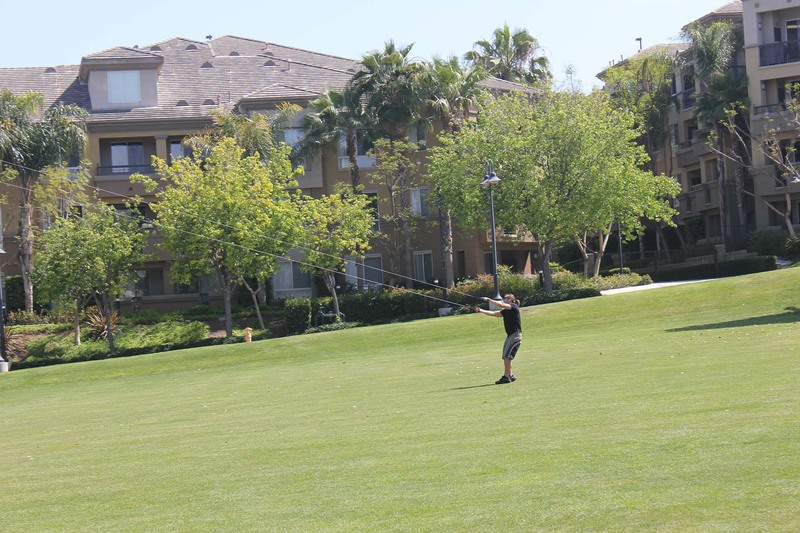 Since kite skills are about 70% of kiteboarding, we decided to test out a trainer kite and learn to control the kite before taking any more lessons. 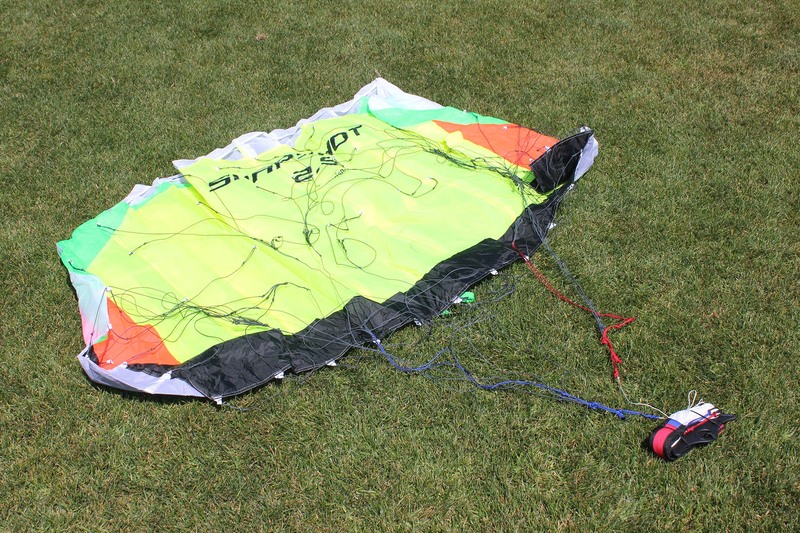 Trainer kites cost very little compared to real riding gear and they are far more durable. With only one lesson under Darren’s belt, and a big fat zero for me, crashing the kite while learning is a pretty good possibility; making the durability a major selling point. 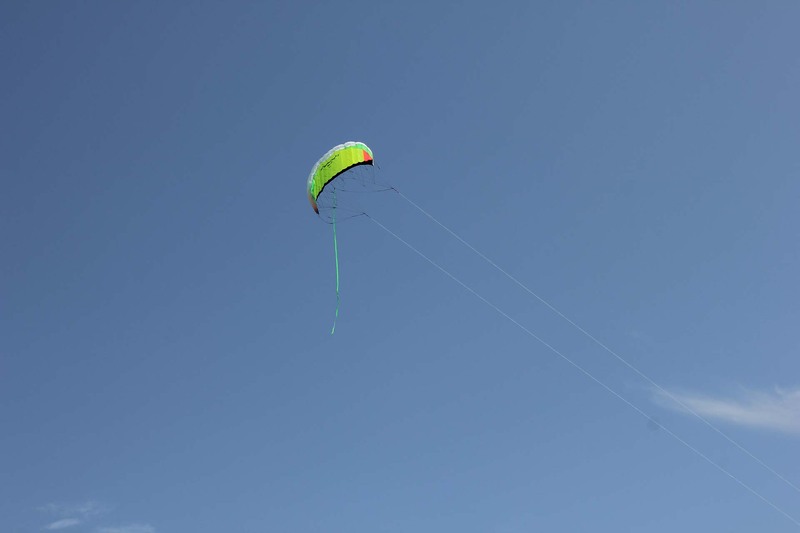 The trainer kite is a lot smaller as well so it will generate less power and be much safer. We picked up a Prism Snapshot 2.5 and it was a blast practicing our skills. 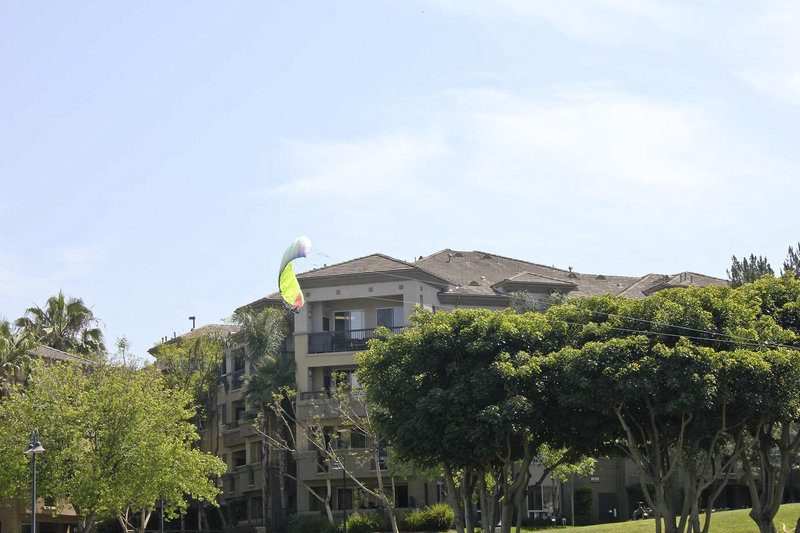 The kite is excellent quality, like all Prism products, and it was easy to fly after only a few attempts. 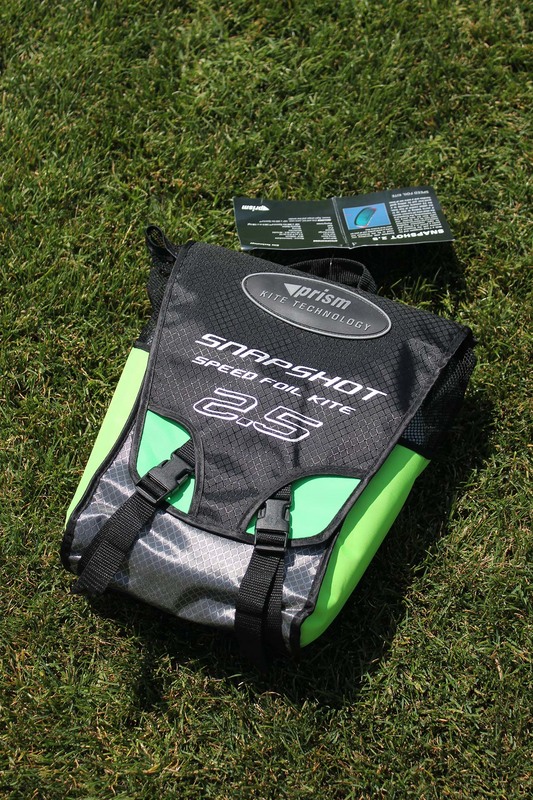 With a 2.5 sq m sail area and impressive pull, the Snapshot 2.5 packed a big punch. It was an ideal introduction to power kiting, with enough power to give our arms a good workout and test our balancing skills. We took it easy on the first flight and launched it gently; I didn’t want to do a wind-powered face plant in front of a field full of people. After a few short flights, we both managed to pull off a couple of figure-8 formations and keep the kite up in the air for a decent amount of time. The tight handling made it responsive and fast; even the slightest pull was noticeable in the air. It reminded me of trying to hover while piloting a helicopter – the Jedi touch is not one of my strong suits. 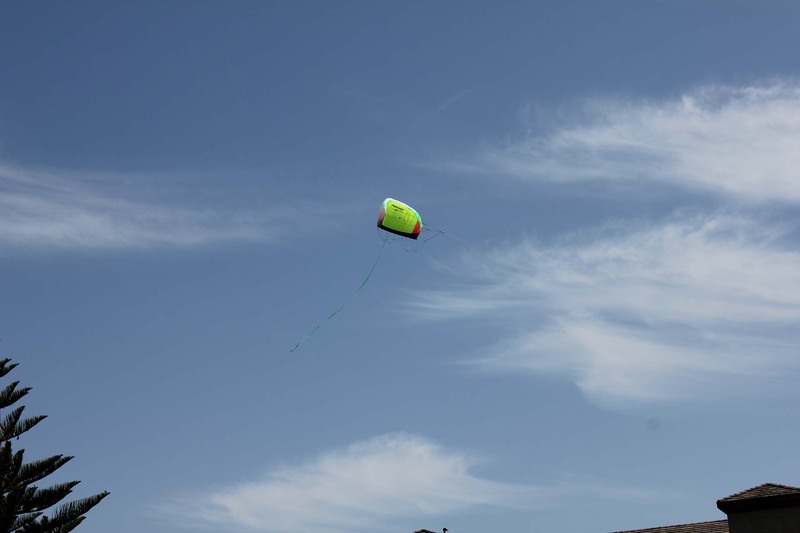 With thorough instructions and visible markings directly on the kite, even the most inexperienced flyer could enjoy the Prism Snapshot on the first day. 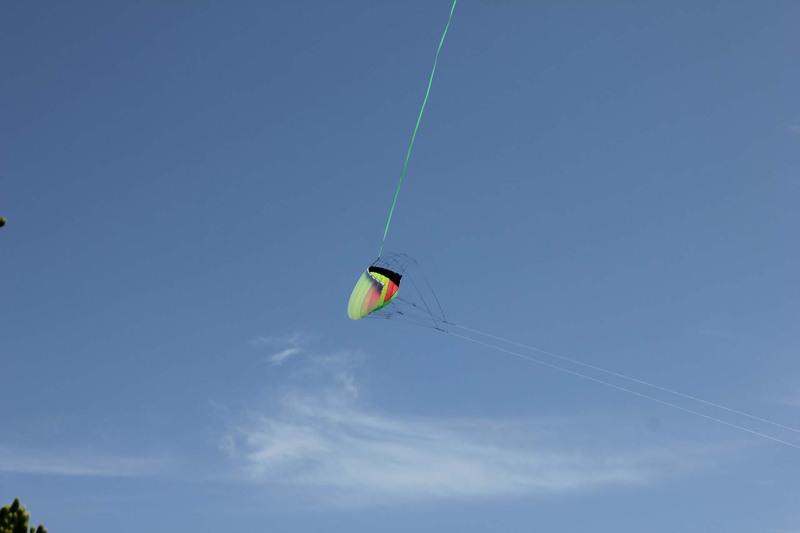 The kite was ready to fly with Spectra™ dual-lines pre-attached, flight straps, winder, and tail. If we wanted the added control of four lines, the 2.5 converts instantly to a quad-liner by adding quad handles and one more set of flying lines. 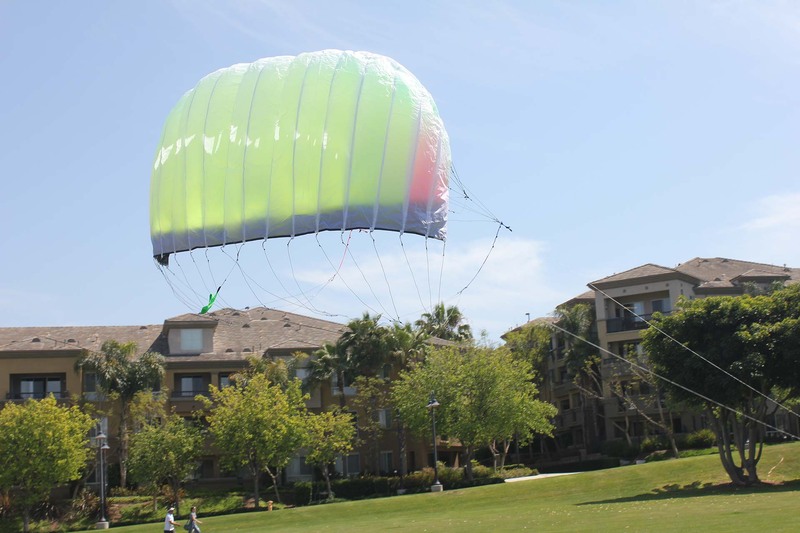 The compact pouch makes the kite fit just about anywhere and the quality ensures years of use. 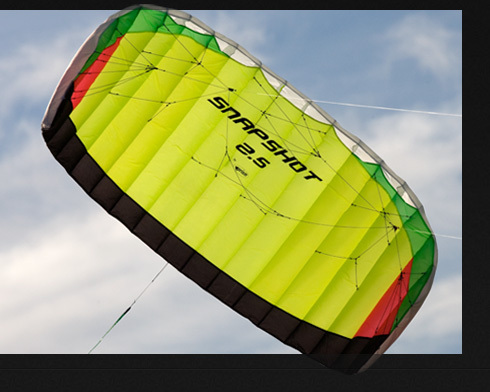 The Snapshot 2.5 made wind junkies out of us on our first day. I’m certain we’ll be back out practicing again tomorrow. You can pick up your own Prism Snapshot 2.5 at Amazon.com or check them out on Facebook. This entry was posted in Product Reviews, Reviews and tagged Adrenaline, adventure, bucket list, Bucket List Publications, California, kite, kiteboard, kiteboarding, Lesley Carter, Outdoors, SoCal, southern California, sports, travel by lesleycarter. Bookmark the permalink. Only once, but it was really good fun! Wow, that looks big enough to pick a child up with a gust of strong wind… I used to have a Chinese fighting kite when i was young, my father always brought things like that home from his trips abroad, he was an RCAF Hercules pilot for 28 years. It’s big enough to pick me up off the ground with mild winds. It’s surprising how powerful it is. Have you ever tried it before? I’ve para-sailed, para-glided, para-transited (disabled joke, it’s okay, the jokes on me! ), but never tried this out – when i was working at Luke AFB in Phoenix I did a lot of para-sailing at Lake Havasu (pre-spinal cancer issues), and growing up with a pilot for a father, did a lot of parachuting and para-skiing (on water skis, being pulled with bungee cords by a low-flying Hercules, on Great Slave Lake) – gads, i would love to try this out! What happens when you land in trees, in someone’s yard as the pictures portray? Can you get tangled up? Looks exciting. Where I live I’ve seen people trying these out from high ground which drops for a good take off (or so I imagine) into a chasm. Give ME the shakes but that’s just me. I’d say you’d get tangled because the lines are really long, but we had enough room to not worry about it. I will definately have to get one of these kites. So colorful from you nice pictures. Looks like it stuffs into a compact pouch small enough to take anywhere. Do you think you will go to Torrey Beach in San Diego next time. Hello, you liked a post of mine a long while ago, I can’t explain how entirely appreciative I am. How you found me, I don’t know, I suppose it was like wandering into the four view realms of youtube. Anyway, thank you, truly. I want one, looks like fun. Kite flying is so much fun!! !